I have recently found myself falling into holes. Not actual holes (although it does happen on occasion), rather holes in the internet. You have all fallen into one of these holes before; it might have been on Wikipedia, or possibly Youtube, and it might even have happened during a Google search. You start out reading an article about Don Quijote de la Mancha (Don Quixote) and next thing you know its three hours later and you are watching a video about the adventures of the cartoon aardvark Arthur. Now you are beginning to understand what I am talking about. Of course while you where doing this you also discovered the new pointless evil of people in the world, the lovely Youtube chain curses. These go along the lines of some young girl gets killed for no apparent reason and now you must post this message you just read in three other places or she will haunt you for five years, makes sense to me. Now let’s talk about other kinds of holes, holes through things, to other places. For instance through the center of the Earth to China, now let all ignore the thousands of very good reasons why you cannot dig a hole through the center of the Earth (which I will not list, you are a geek you should know, if you seriously don’t just Google it). However, even if you where to dig a hole directly through the surface of the earth through anywhere in the USA or even North America you will end up nowhere near China. In fact to get to China you would have to dig a hole from somewhere in Southern South America, preferably somewhere near central Argentina. I also took the liberty of digging a hole in my back yard, which you can clearly see in the picture below. However I ran into a bit of the problem when I got out to the other side, I had just dug a hole into the bottom of the Indian Ocean (somewhere off the south western coast of Australia), this had the adverse side effect of draining half of the Indian Ocean into New Jersey. Then of course there is the small problem of what to do with the 525,835,387 cubic feet of dirt I just dug up. I work as a budget controller. Now, as one would expect, this is not often a profession of hilarity, like, um gynecology. However, every now and then, there are amusing parts of the work. For example I am currently working on a project with Yoji, Hugh, and Steve Yu. The conversation bringing Yoji (who is not a native speaker of English) up to date on the project was fairly amusing. Yoji: So Hugh edits the spreadsheet? Me: No you edit the spreadsheet. Yoji: Right so Hugh edits the spreadsheet? Me: No, HUGH is his name, YOU edit the spreadsheet. Yoji: Okay, so who inputs the serial numbers? Me: Steve Yu inputs the serial numbers. Yoji: I thought Hugh edits the spreadsheet. Me: No YOU (pointing) edit the spreadsheet and STEVE YU inputs the serial numbers. Me: (POINTING) YOU edit the spreadsheet and STEVE YU, in that cubicle over there inputs the serial numbers. Got it? Yoji: Okay I edit the spreadsheet and Steve inputs the serial numbers. And in other work related news, after reading this article even working with the Marketing Department is looking up. Because let’s face it, it could be worse, you could get Ebola from your job. "You walk up to to door, you open the door, and you walk outside." To which we replied "Merci." 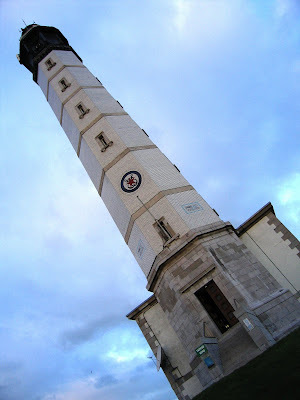 You can see this lighthouse from Dover England. 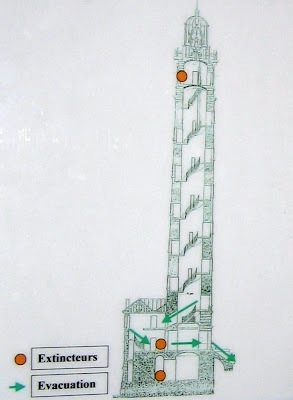 It was rather a simple building as you can see from this fire escape and extiguisher diagram. 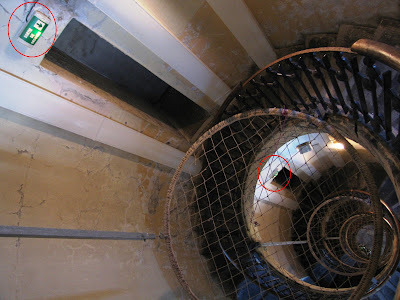 Most of it is a giant sprial staircase. In case of Emergency though, you can never be too safe, each floor had a helpful sortie sign pointing straight down (I circled them red). I don't think it can get more ridiculous, the only thing burnable on these floors are the plastic exit signs! Students with 75+ credits (including AP, Israel, Transfer Credit) must declare a major by January 29, 2997. Well, at least there's no rush. In other news, I am now an Adjunct Instructor at Yeshiva University. I am teaching two sections of an intermediate lab course (i.e. pre-med physics). This means, among other things, that I am part of the first line of defense against future bad doctors. However, I am also still a student at Yeshiva University. A student who can still register for classes. So, I tried registering for my class. Unfortunately, I was missing out on a prerequisite. The classes I'm teaching are a second semester intro to physics class, and I did not take the first semester of intro to physics, I took the first semester of general physics (i.e. with calculus). Also, I am currently not taking the second semester of intro to physics lecture, which is co-requisite for my lab, although I did take a second semester of general physics. So it seemed that I would not be able to register for my own class. However, in these situations, usually all one needs to get in is the professor's signature. Fortunately, I know the professor. I filled out an "Add/Drop" form, signed that it was OK to take the class, and brought it to the registrar. The nice Russian lady working there was kind enough to override the prerequisite, being that I had the professor's signature. My alarm goes off; I wake up and get ready to go skiing. I drive over to Jimmy’s dorm (the jump off point for the ski trip at around 6:10 (planed meeting time was 6:00). We had decided we where going to leave at 6:30. 6:40: Andrew shows up. Chris was already there because he is in the same dorm as Jimmy. We call Jared, he doesn’t answer we decide to wait until 7:00 then leave without him. 7:00: We leave to go to Hunter Mountain without Jared. 8:30: We get a call from Jared, his alarm didn’t go off he was leaving now to meet us there, I took the call on Jimmy’s phone then put the phone in the center console (beginning of later drama). 10:00: We get our skis (my boots hurt my feet killing me, and I couldn’t shut my boots on my calves (they are big from biking)). 10:05: We do a bunny slope; I haven’t skied in over three years so I am just getting back into things. 10:10: Jimmy decided to take me and Andrew down a blue (intermediate slope) mogul on our second run. I can’t stop because I am out of practice and there are too many people. I lost control and started zooming down; I hit a bump and fall, at this point I was probably going 20-30 mph. Both skies fell of, both poles ended up on the ground, my ski goggles got broken and I slid about 20 feet (I can’t remember any of this happening, I remember falling thats it untill I stoped sliding) I had had the breath knocked out of me and it took about a minute before I could breath again and about four minutes before I could breath properly. I go back to easy greens slopes and Jimmy and Andrew go off to other slopes. I meet Jimmy and Andrew for lunch; they tell me Andrew lost the keys. He didn’t have zippered pockets and didn’t tell us, also he had had the keys fall out of his pocket in one fall and didn’t tell us, needless to say the second time he fell and they came out he didn’t see them. We realize that Jimmy’s phone is still in the car and Jared only has his number. We call Sergey to have him give us Jared’s number, Sergey is in a meeting so his phone is off. A Hunter Mountain Employee jimmied the car open (it’s far easier than you would think). We call Jared; he is about 15 minutes onto the NY Turnpike so it doesn’t make sense for him to come back. Jimmy calls his parents; they aren’t willing to drive two and a half hours to get us a key. We can get AAA to tow us 100 miles but they can only take one person. Lots off time passes with us calling our parents and such, debating whether or not we should try and hotwire the car and other similar solutions. We get a cab companies number from Chris’s mother and call to find out how much it costs to take a cab 100 miles, the answer 350 dollars. At this point we start looking for the cameras, and speculating on how this sort of thing doesn’t really happen in real life only in the movies. We also buy some food. 9:00-9:15: We decide that Jimmy should take the tow truck down 100 miles meet his dad then come back for us. 9:15-9:30: We argue about whether that weird light in the middle of the sky and the other weird lights that are moving around are UFO’s until we realize that it is a light at the top of the mountain and a snow groomer. 9:30: The tow truck come, we wish Jimmy good luck. 9:40: Andrew, Chris, and I reach the Hunter Mountain Hotel, where we tell them, that no we don’t have a reservation. We proceed to tell them out story and ask if we can stay in the lobby for a couple of hours, they say yes. They even give us some games to play while we sit barefoot in front of the hotel fire. Jimmy gets back, we realize that since the slopes closed we have been at the mountain for longer then the slopes where actual open the whole day. We begin out long drive home. Some of which we for some reason try to sing the theme song to the Phantom of the opera, but I guess when it is 2:00 AM you do kind of have an excuse. As Jimmy is getting food and stocking up on caffeine, Sergey calls me, with a question along the lines of “me and Jared are wondering where the hell you guys are” I told him, he said “oh”. We moved on. We drive some more including a stop at Jimmy’s house. We drop Andrew and Chris off at there dorms. I drive my mothers van home with Jimmy tailing me. He parks in front of my house so he doesn’t get ticketed for parking at Rutgers. I drive him back. I get home 23 hours and 45 minutes after I had woken up. Take a shower and ho to bed. I wake up after about 3:30 hours of sleep to go to class. I go to class, the rest of the day happens as is the usual thing days do. Jimmy calls me just as I get to the van parked in the local park (I bike between the park and Rutgers when I have a car), he wants to know where I am and if I can take him to my house to pick up his car, I of course say yes as I am right there. I pick him up. Around 2:30: I get to my house; Jimmy realizes he had forgotten the key at Rutgers. We hang out for while until I have to go to my next class. I tell him I will drive him back to my house after my economics class at 8:00. 6:35: Econ is canceled. I try and call Jimmy and can’t get through, I spend some time trying to find him then decide to head home. 7:30: I am at my local drug store buying some cough medication, Jimmy calls his cell phone wasn’t ringing, can I pick him up, and I say I will latter. Latter: I pick him up and we go to my house Jimmy gets his car. This is the movie that me and my friends stared in these past couple of days. Our luck even followed those who came in physical contact with us. Jimmy’s father ended up having to work until 3:00 AM, the tow truck driver who towed Jimmy missed out on a $500 tow job that he figured couldn’t possibly happen near there that late at night. So if you are reading this and come in contact with us that Sunday be afraid be very afraid. So my English friend Alex said he heard that 40% of Americans think they've been abducted by Aliens. I of course say that this is ridiculous and to prove my point I stop the nearest American that I know and ask if he thinks he's been abducted by Aliens. He thinks hard and says that he thought about it before and guesses that he wouldn't know. Appalled, I ask the next American I see (from phoenix) who thinks hard and then tells us that her brother and mom have seen the phoenix lights then proceeds to describe the 3 bright lights connected by dark rods, with a hollow middle and how the whole thing spins around really fast as it hovers along . . . If there are any Americans out there, please either declare that you haven't been abducted or tell us your story in the comments. (Canadians are welcomed to participate because they are Americans from the Continent of North America). I will then show it to the British chap and then save America's name! In related news, I found out that a guy called Marcel Tolkowsky actually calculated the best way to cut a diamond using optical principles. And the new computer has successfully made it from Earth City, MO and now decorates our dining room. 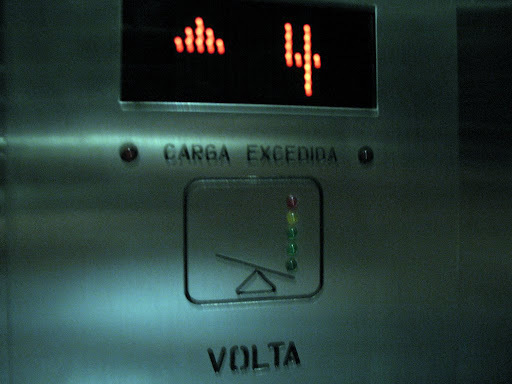 Unfortunately, I was not in the elevator with any overly fat people, so none of the lights lit up. Well winter break is over and we are all back in school. I will have very interesting posting times during this semester, on Tuesdays I have class until 8:00 PM. But here I am and here is my post. I am tacking Principles of Economics this semester (its kind of a combination of Macro and Micro), and I have rather an interesting professor. After introducing himself and telling the class how to get to the course website, someone asked him to write the URL on the board and he said No; they asked him why and he told them that he had just told them how to get to the website so he didn’t need to write anything down. He went on to tell the class his policy on make-up exams, which was also NO, not for any reason or anything. Someone asked him what if they where sick, and he replied “Then you’d better be dead”, the kid replied “What if I am dead”, my teacher said “Then I shall require a coroners report or I will fail you”, another student asked “What if I bring you the coroners report”, the reply “Then you aren’t dead and you have a zero”. A friend and I decided to invade France the other day. 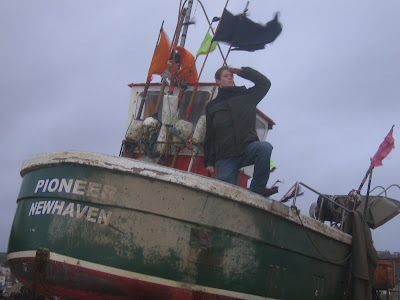 This is me manning our battleship, the Pioneer Newhaven. 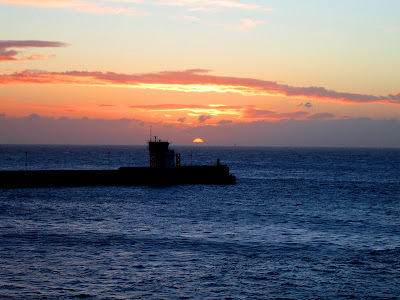 We left at dawn, it was a lovely day and the wind was blowing in the right direction. Upon landing in Calais, the defence was light (this is France remember) but we found out why after climbing the cliffs. 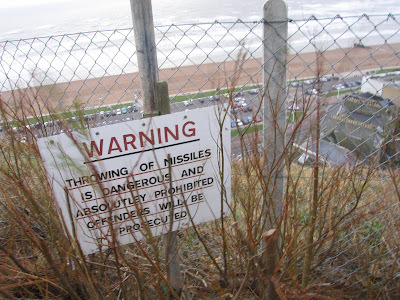 Apparently the French defences were not even allowed to shoot missles. 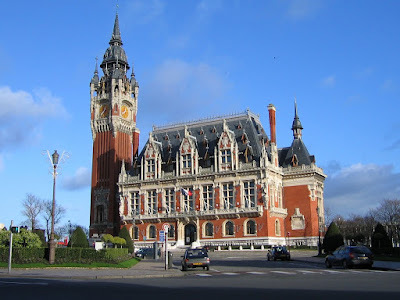 The sum total resistance we got was from a lone uniformed man asking us for passports, to which I replied, "My grandfather didn't need a passport to enter when he saved your French @#$$ in 1944!" We noticed a few things that we plan to change now that we own France, but first here are the things that can stay the way they are. The following building was really neat. 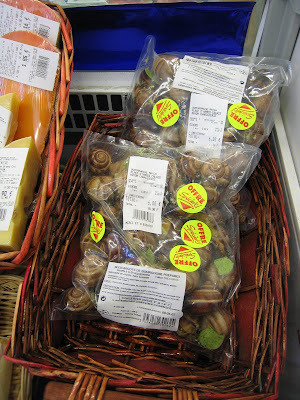 Snails that are sold in supermarkets should have a large yellow label stating "Warning, these are actually snails." Its rather a bit scary the way it is now. Next the rubbish bins are way too fancy. They should be changed to proper NYC style garbage cans fit for rubbish. 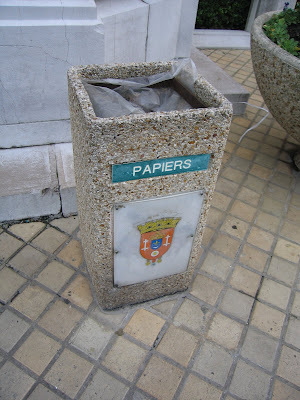 At some later point I will give a photo rant about the frilly garbage cans of Europe. None of this miniaturization of vehicles. 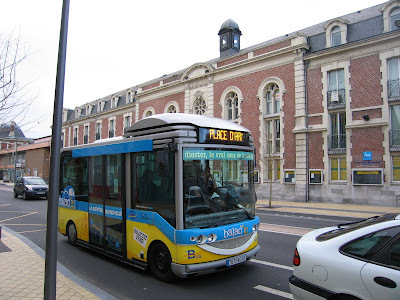 A bus that looks like a bus should be the size of a bus. (It was free though, rather neat). 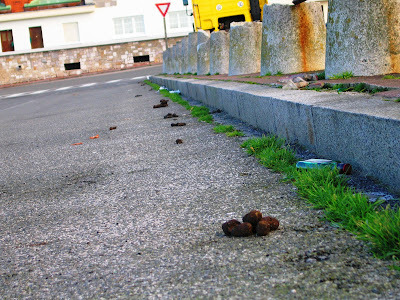 According to my fellow Admiral (who is English), "you know your in France when there are piles of dog excrement everywhere." 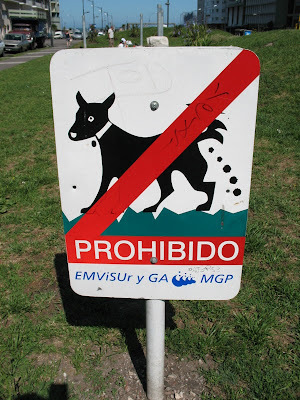 France must join Argentina as a modern country with normal modern laws about picking up after your dog. 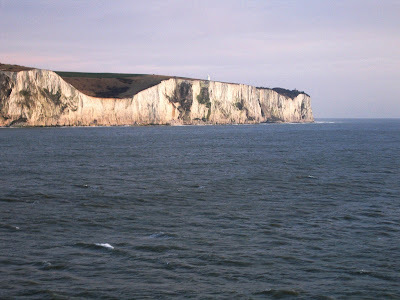 Relieved to have made it back to England when we saw the white cliffs of Dover. Pseudo-surround sound --> 7.1 Channel full surround sound = Wow times better. While the new hard drive is smaller than my current (heavily upgraded) storage on my old computer, it is WAY faster, and 5 times larger than the original hard drive. Oh, and the new chip is a 64 bit chip, and I'm getting a 64 bit OS. And Mathematica (ver. 5.2), one of the greatest programs ever written, supports 64 operations. And due to recent developments which I may write about another time, I get a free copy of Mathematica 5.2 from Yeshiva University. However, the one benefit that the old computer has over the new one, is that it is chugging away happily in my apartment, while the new one is somewhere between Earth City, MO and New York City, NY. In other, not computer-geek related news, I've decided that I'm still within the statute of limitations of our Argentina trip. So, here's an amusing picture from a park near the hotel we were staying at in Mar del Plata. At the end of last weeks post I mentioned that I was going shooting. I didn’t elaborate. What I was shooting, where I was shooting, with what was I doing the shooting, for what purpose was I doing this shooting, and so on. Well you will be happy to know they I will answer some of these questions. Last Tuesday three Mechanical and Aerospace Engineering friends and I went to a shooting range in Pennsylvania. The purpose of this trip was to fire a whole series of cool guns. I won’t go crazy over the details of the weapons I fired or the characteristics they had in kickback accuracy etc. instead I will take you on a picture journey of my day. This is me firing a 9mm Glock, I also fired a 9mm Beretta but since you probably wouldn't be able to tell the diffrence between the two guns I wont bother posting a picture of it. This is an Uzi (with a long barrel and a stock) I have to talk about this gun, it was amazing, almost no kickback, and extremely accurate. I really like it, unfortunatly the import into the USA of Uzi's where banned in 1994. This is the AR-15 (civilian version of the M-16, semi-automatic) scoped, and with a bipod, this was lots of fun as the M-16 has been the standard issue infantry gun since Vietnam. Also, with the scope and bipod it was very easy to hit exactly what you where aiming at 30 yards away (even if the scope needed to be calibrated). This is a scoped, .308 sniper rifle, with a bipod. This was cool because it put really big holes in things. It also had a really fun kickback (in otherwords big). AK-47 Kalashnikov you have seen one of these at one point of your life. In a movie or in the news, its famous for fireing without jamming in any condition. It is also famous for being the number one terrorist weapon, this is because they are very cheap to make and the USSR and russia where never very good at holding on to them (they sold them to anyone). Now they are very easy to get on the black market. Heckler and Koch MP-5, this was a great gun. Fun to shoot easy to handle and really nice to look at. Heckler and Koch are basically the Cadillac's of gun makers, so you can kind of get an idea of what it was like to fire on of there assault rifles. FN-FAL as far as I can figure out the Germans used this in WWII It has a ton of kickback and is extremely heavy, but it was a taste of history. Mosin Nagant was the gun used by the Russians in WWII, it was also a taste of history. To make things even more intresting one of my friends who was with me Sergey had a great grandfather who had one of these when he fought in the Battle of Stalingrad. Finaly the M-1 Garand the gun the America used in WWII, this like the Mosin Nagant and the FN-FAL was heavy and had a ton of kickback. So ends my shooting trip (excluding the 12 gauge shootgun which I don't have any pictures of me shooting). Of course there is still some questions I didn't answer. We when shooting because we are Mech. and Aero. Engineers, thats all I need to say, of course the fact that we all like guns and knew tons of stuff about the weapons we fired before hand, should be ignored. Finally if you couldn't tell we where shooting at bowling pins and teddy bears, and paper targets with the handguns. Out of six shots with the Beretta I hit two in the heart from about 20 feet, since I forgot to ask for the target we shot at when we where shooting the Glock I am not sure how my accuracy was with it. As a connesour of American national parks, I went to see the Peaks National Park, in the north midlands of England. 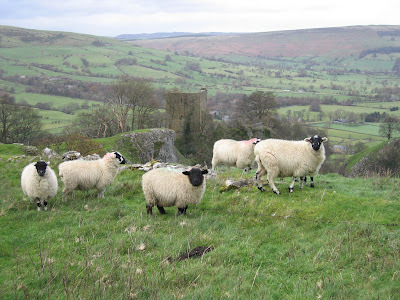 I was impressed with the perfect combination of castles and sheep (this one is Peveril Castle with the sheep Simon, Betsy, Snowball . . . ). 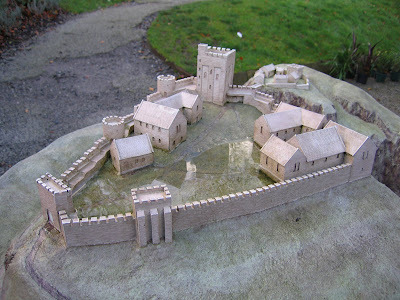 We see from this scale model below that the engineers had quite a creative plan to throw off enemy attackers. They brilliantly put the moat inside the castle. I haven't yet understood why it is brilliant to do this but I'm sure that it is. I was about to fill my canteen here, but then I saw the sign. 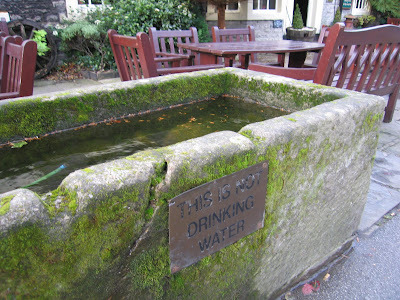 Not drinking water, phew! Shame though, it looked delicious. Argentina allegedly has driving laws, but it seems that most people happily ignore them. People regularly cut each other off in traffic (I even saw someone cut off a cop! ), and speed limit signs and lane markings seems to be used primarily for decorative purposes. Occasionally you'll see someone pulled over, and I can't imagine what they must have done! Also, there also seems to be a national shortage of stop signs. As such, at an intersection, people just drive through, hoping that they'll miss the other cars (and pedestrians). It essentially is a game of chicken. Check out this video I took. It's not the worst I saw it, but it's when I had my camera. As the official Lansey Brother Blog welcome committee I would like to be the first to welcome you to 2007. Sunday night I was at a friend’s party where there was an excessive amount of drunken people. Now I am not one to judge to hastily, normal I take around 3 seconds, but the chance of me respecting a person who routinely does to themselves what these people where doing is negligible. One of these guys cut himself somehow and couldn’t open the Band-Aid he was given. Just because I don’t drink recreationally doesn’t mean I condemn it, however what some people do is just crazy. On a happier note we have welcomed in a new year with only a negligible amount of world chaos happening in the first 1/365 of this year. I will give a quick and happy rundown, Indonesian Jet crashes, war in Somalia, and of course all the happy New Year bombings all over the world. But don’t let this crush you just remember we have a whole year ahead of use for interesting things to happen, in the meantime I am going to a shooting range today so see you latter.